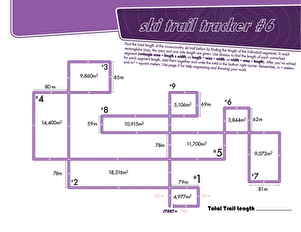 This Olympics-themed worksheet challenges your fifth grader to use his division and geometry skills to determine the total length of a ski trail. 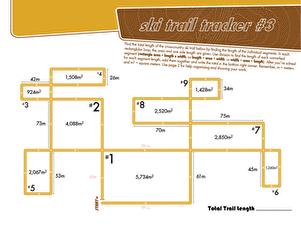 For each segment, he'll be given the area and the length of one side. 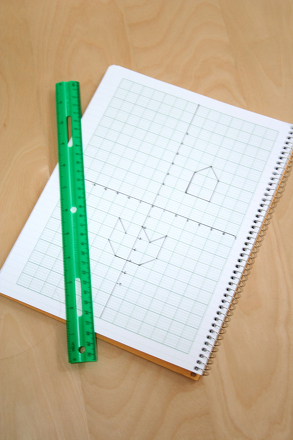 He can then solve for the remaining measurements, and add up the sides. 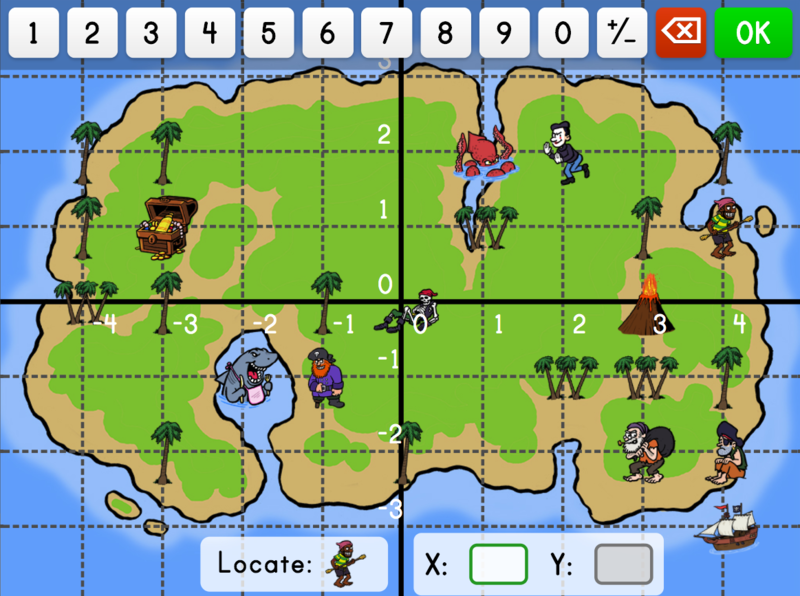 His maths ability and knowledge of basic year six concepts will be strengthened in the process! 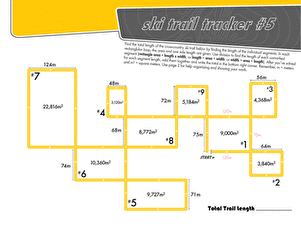 For further practise, check out the rest of the printables in the Olympic Arithmetic series! 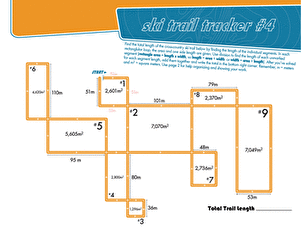 This colorful worksheet challenges your fifth grader to find the total length of an Olympic ski trail using her division skills and geometry knowledge. 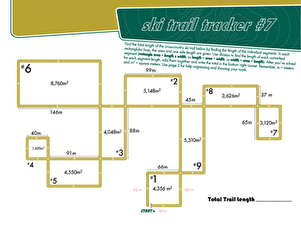 Challenge your fifth grader to find the total length of this long, angled ski trail by adding up the lengths of each individual segment. 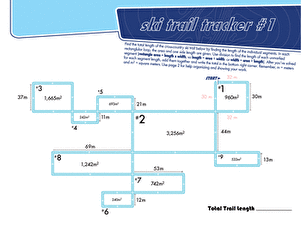 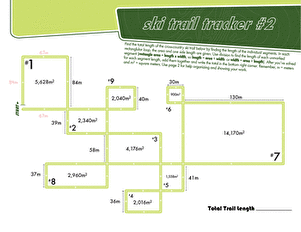 This colorful printable challenges your fifth grader to find the total length of the ski trail diagram by finding the lengths of each individual segment.